The RB-DA6G 6 Way Stereo Distribution Amplifier With Output Gain Control. The RB-DA6G is a 1U rack-mount high performance 6 way stereo distribution amplifier for splitting a source into a number of different outputs. 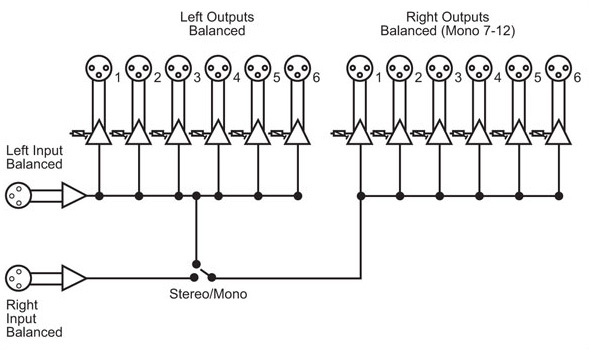 It is identical to the RB-DA6 with the addition of individual output gain adjustment, instead of global stereo gain adjustment.